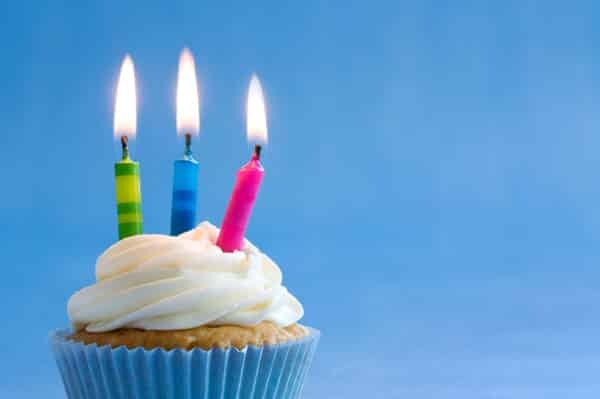 How would you like to receive a FREE cupcake on your birthday? If this sounds like a fantastic offer to you, then be sure to sign up for the Sprinkles cupcakes eclub. When you do, you will receive a special offer for a FREE cupcake on your birthday. Another perk of being a member of the eclub is a FREE item for every 15 menu items you purchase. You will also gain access to exclusive information and events. You can even earn a referral bonus! The more purchases you make as a member of the Sprinkles eclub, the more freebies and incentives you will earn! If you make 20 or more purchases at a Sprinkles cupcake shop in a year, you will join the Dark Chocolate eclub level and receive an offer for free Sprinkles cupcakes on your half birthday as well as a FREE cupcake on Tuesday if you’ve purchased a cupcake the previous Tuesday.If you visit Sprinkles cupcake shops more than 40 times each year, you will receive a dozen FREE cupcakes on your birthday as well as a ‘skip the line’ pass (along with the freebies and deals previously mentioned). Sign up now to begin receiving special cupcake deals! If you visit Sprinkles cupcake shops more than 40 times each year, you will receive a dozen FREE cupcakes on your birthday as well as a ‘skip the line’ pass (along with the freebies and deals previously mentioned). How is that for free stuff on your birthday?? Sign up now to begin receiving special cupcake deals!